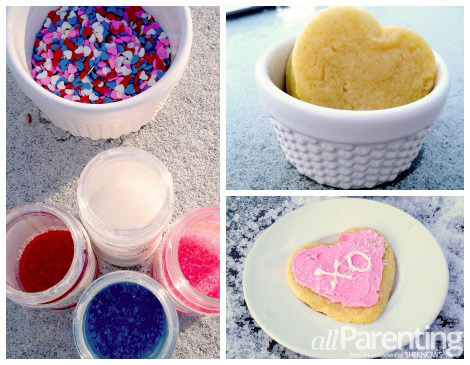 With a simple cookie dough recipe, colorful frosting and a variety of sprinkles, you'll be hosting your Valentine's Day cookie decorating party with ease! These perfect tips will keep your party running smoothly, your guests happy and your home (almost) stick and mess free. Let's get started! A house filled with children and cookies screams Valentine's Day. It also screams big mess! But it doesn't have to be that way. These tips will keep your cookie decorating party simpler and cleaner than you'd think, and leave you able to enjoy the sweetness and fun with your little ones and their friends. An easy cookie dough recipe — I love Ree Drummond's for the simple ingredients, the please-everyone flavor and the sheer amount one recipe makes. Icing in a variety of colors — Start with a basic white icing such as Sara Wells' and use food coloring to create colorful choices. A handful of organization helpers — Cookie cutters, food coloring, a disposable tablecloth, squeeze bottles, a variety of sprinkles and muffin tins or ice cube trays. Pre-make your cookie dough and chill or freeze it until you're ready to use it. Also consider refrigerating your cookies before decorating. Cold cookies cut and decorate extremely well. Fill your squeeze bottles with icing and chill the full bottles. This will make your decorating cleaner and your decorators more successful. 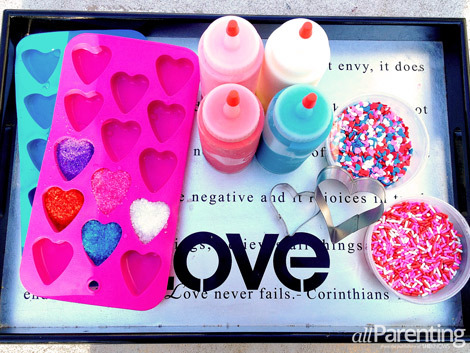 Sort your sprinkles into several ice cube trays or muffin tins that can be spread out and shared by many little hands. Cover your table with a disposable tablecloth for quick clean-up. After all of the decorating fun, consider having everyone enjoy a cookie together and take the rest home. Set aside paper plates or small plastic bags for easy cookie transport. Once all of your guests and cookies have left, sit back in your clean kitchen and pat yourself on the back. A cookie decorating party is no small feat, but is definitely a worthy memory-maker.